Shuttle Express: A Better Shared Experience! 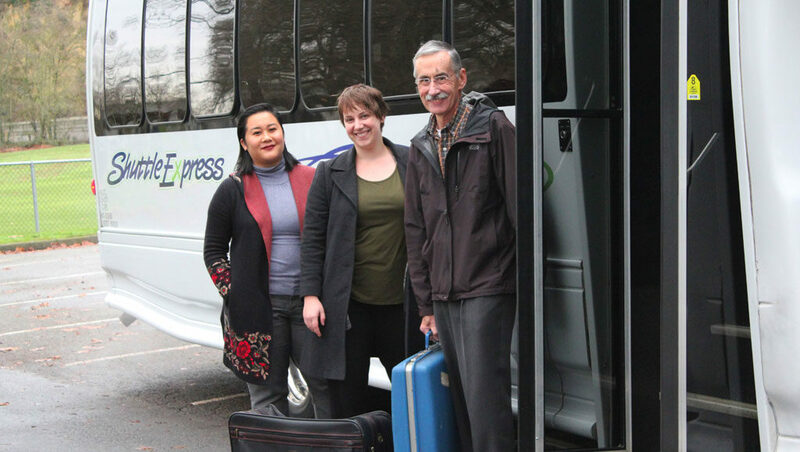 Downtown Airporter is the most convenient, affordable transportation option between Sea-Tac Airport and downtown Seattle! We’re the least expensive option, direct to downtown. Compare our rates, starting as low as $25.45 pp, with a taxi at more than $45 one way. Downtown Airporter is an affordable choice for families, too―kids 2 and under ride free, one for each paying adult. Service operates between Sea-Tac Airport and the following Seattle hotels: Crowne Plaza, Fairmont Olympic, Grand Hyatt, Hilton, Renaissance, Sheraton, Warwick and Westin. Advanced bookings are required to the airport, but walk-ups from the airport are okay. Book online or call 425-981-7000. 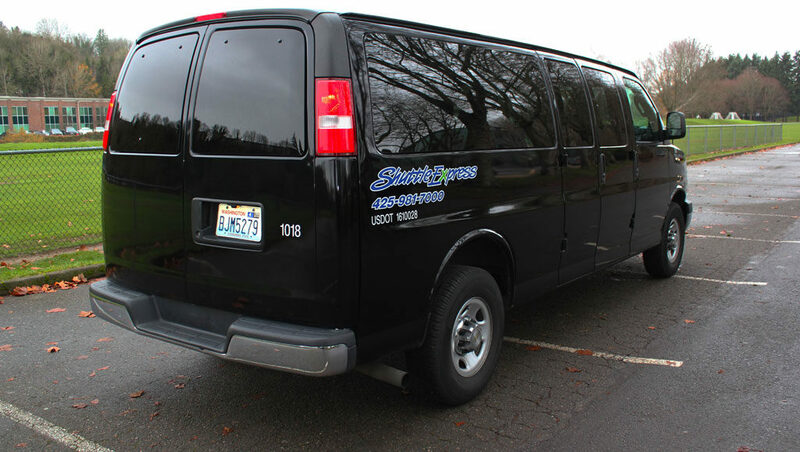 Departures from Sea-Tac Airport and Downtown Seattle are available 24-hours a day. Please call at least two hours before your desired pick-up time, or feel free to use our new app to book your ride. 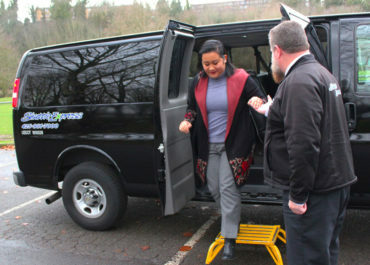 For trips from the airport, our vehicles leave Sea-Tac Airport approximately every 30 minutes during peak travel times. 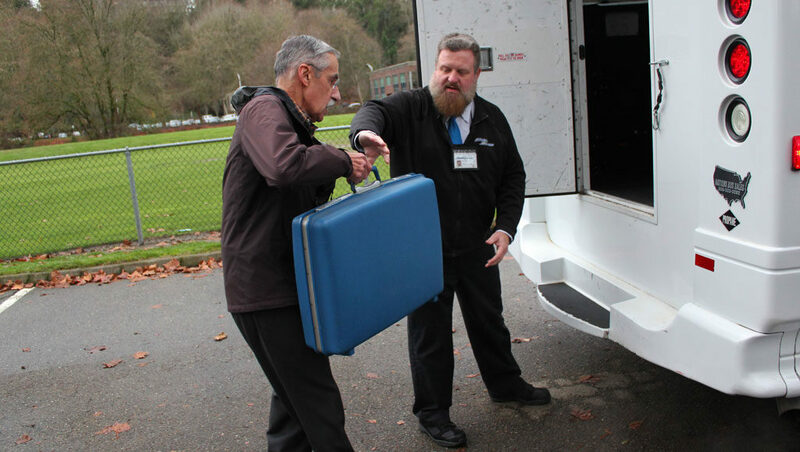 During off-peak times, we offer on-demand service from the airport, meaning we’ll get you on the next van going to your hotel. Just check in and we’ll take care of you. Pre-booked trips from the airport are not required, but booking your trip in advance helps us plan how many vans we’ll need. From baggage claim, cross sky bridge 4 to the airport parking garage and go to the 3rd floor―we’re in the center of the Ground Transportation Plaza. Check in to activate your walk-up or pre-paid ticket. Our coordinators will check you in between 9:00 a.m. and 1:00 a.m. After 1:00 a.m., check in by using the courtesy phone, which connects you to our Guest Service Center. A credit card is required when booking your Downtown Airporter service. Rides can be booked online, by phone, through select downtown Seattle hotel concierge desks, or at our airport location.